#JeniqueDalcourt : Longueuil police make arrest in bike path attack – WHO KILLED THERESA? Police have confirmed that a man in his mid-20s was arrested today by the Longueuil police in connection with the killing of 23-year-old Jenique Dalcourt Tuesday night, as first reported by CTV News. 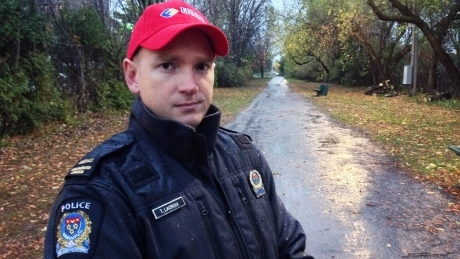 The young woman was walking home after work when she was attacked as she took the popular but dimly lit bike path between Chambly Rd. and Normandy St. in Old Longueuil. She was discovered by a passerby at 10 p.m. laying in a pool of blood. No one at the Longueuil police department would confirm nor deny the information, but sources tell CTV that the suspect will appear in court on Monday to face a murder charge. The man had originally been met by investigators hours after the murder, but was only placed under arrest Saturday. The brutality of the murder shocked everyone in the neighbourhood, as the autopsy revealed that Dalcourt was beaten to death with a blunt object. Last night, a vigil was held for the young woman, attended by family and friends but also by other people who wanted to share their sorrow following the tragedy. The city has taken steps to make the path safer, swapping the bulbs in several street lights to LED bulbs and removing trees to ensure the path is better lit.